The U.S. Consumer Product Safety Commission has launched an investigation into parents' complaints that the new version of Pampers diapers, Pampers with Dry Max, is causing rashes, burns and bleeding. "Anything that occurs with infants we take very seriously," CPSC spokesman Scott Wolfson told Consumer Ally. "It's early in our investigation." Parents' concerns and mounting complaints on online sites including Pampers' Facebook fan page were first reported by Consumer Ally about two weeks ago. Since then, the number of members of the page has doubled to more than 3,000 and the complaints continue. Wolfson urged parents who have experienced problems with the diapers to file a complaint with the CPSC by calling its hotline at 800-638-2772, filling out an online form or by emailing the agency at info@cpsc.gov. Wolfson said he did not know how long the investigation would take. Bryan McCleary, a spokesman for Procter & Gamble, which makes Pampers, said the company welcomes the investigation. "The CPSC routinely evaluates many consumer products in the marketplace, especially major new product launches," he said. "We have contacted the CPSC to share the extensive safety data related to the Dry Max product. We have a long history of working proactively with this agency and welcome the opportunity to discuss this topic to clear up any misconceptions or misleading information that may exist." Procter & Gamble said none of the materials used in the new diapers should be responsible for the types of problems that parents are complaining about. The company maintained that the only changes in the new version of the diaper, which just recently became available nationwide, is the design, which includes less filler material. Nevertheless, questions have been raised about the chemicals used to capture urine in the diapers -- known as polacrylates -- and whether the reduction in other materials in the new diapers could cause greater exposure to them. McCleary said the company is confident that is not a problem. "The absorbent gel is separated from the baby's skin by two layers of soft fabric and designed to provide great Pampers dryness," he said. "Extensive safety evaluation and clinical testing indicate that the Dry Max diapers maintain the same healthy skin condition as our previous version." The company's stance has angered some parents who remain convinced the diapers are responsible for irritation on their children. Rosana Shah, who started the Facebook page dedicated to getting Pampers to bring back its old version, said she is pleased to see the that federal investigation is taking place. "I am extremely happy about this. We wanted a watchdog body to take notice and do their own independent research," the Louisiana mother said. "We are just lay consumers and we didn't have the expertise at our disposal to do that." Shah said she believes whatever was changed in the new Pampers is causing the problems. Rachel Murray, a Wisconsin mother of an 18-month-old, said she is also convinced it was the diaper that caused her son's rash. She said when she first started using the new Pampers her son develop a "weird diaper rash" that went away immediately after she finished the package and used other diapers she had at home. She said she didn't notice the pattern until she used the Dry Max diapers again. Within four diaper changes using the Dry Max diapers, the rash reappeared. Once she switched to another diaper, the rash disappeared again, she said. Murray decided to abandon the diapers even though she still has a bunch of packages at home. "I thought about donating the diapers, but could not bear the thought of another baby having the same issues," she said. Murray also said that she was put off by how the company's customer service folks dismissed her. That is common thread among the unhappy lot complaining about the diapers. Procter & Gamble's McCleary said the company is listening to consumers and trying to determine if anything could be causing them problems. "We respond to each consumer based on their individual experience," he said. "We use our extensive quality assurance program to follow-up on consumer contacts we receive." McCleary said doctors internally and outside have looked at the issue and the company has even invited some of the customers to have their child's rash reviewed by a pediatrician and dermatologist. 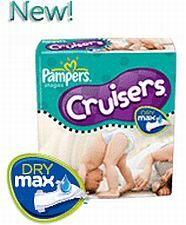 "The findings from these reviews are consistent and we have seen no evidence of a skin safety issue as a result of Pampers with Dry Max," he said.